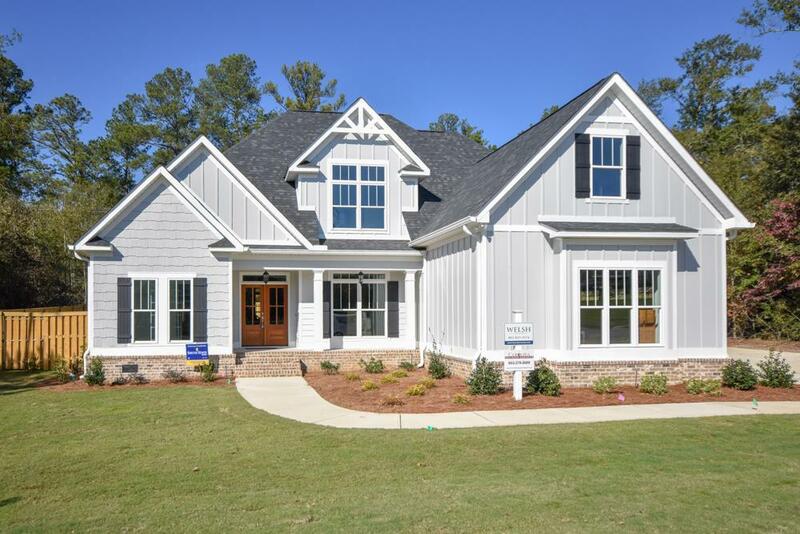 Fabulous Craftsman style home with open floor plan 4 bedrooms 2.5 baths! Hardwood floors through most of 1st floor! Huge open kitchen with granite countertops, glass front cabinets, gourmet kitchen with gas stove, pantry, large island, plus breakfast bar & area with coffered ceiling! Kitchen opens to awesome living room with vaulted ceiling & gas fireplace! Beautiful dining room with wainscoting & coffered ceiling! Gorgeous dining room with coffered ceiling & wainscoting! Owners suite on main level with walk-in closet, tile floor in bath, double sink vanity, water closet, garden tub and shower! 3 spacious spare bedrooms, one with private entry to bath! Large laundry room with sink, storage cabinets and tiled floors! Charming built in bench seat/book bag area as enter from garage! Relax on the covered back porch and enjoy the awesome privacy fenced back yard! Side entry garage! Just minutes to I-20 for easy access to anywhere in the CSRA! Listing provided courtesy of Shannon Rollings of Shannon Rollings Real Estate, Llc.